In this article, I share my experience at BoTLatAm Barranquilla 2018, and I present a brief interview with Mateo Daza, one of the organizers. 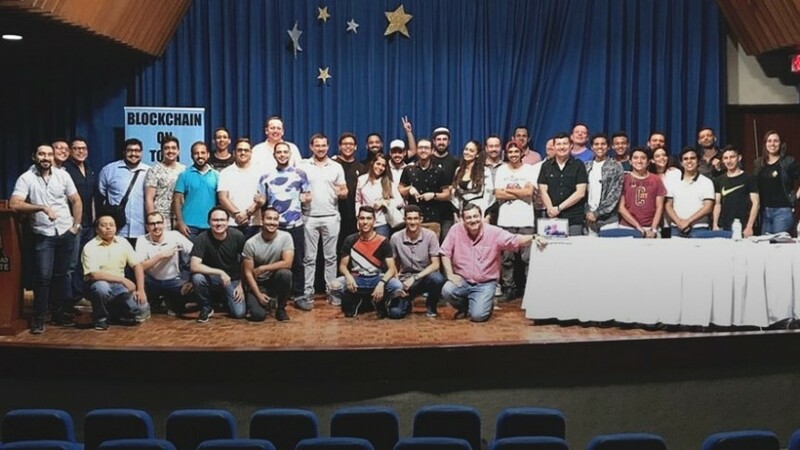 The Blockchain On Tour Latin America team staged a string of conferences across the continent this past week with the intention of empowering people by teaching them how to use and leverage blockchain-based products. The tour finished this Sunday after a very busy week that saw the team travel over 11,000 km from Sao Paulo to San Miguel de Allende in México. I was lucky enough to attend the second to last event in Barranquilla, Columbia. The main objective of BOTLatAm was not to educate people on the technical aspects of blockchain but instead to teach attendees how to actually use blockchain-ready products just as people use internet services without understanding the underlying technology. The organizers dubbed this the "Genesis Tour", and told me they hope to continue the tour in several countries, including Asia and the rest of Latin America starting as soon as next summer. Bitrates made possible my participation at the Barranquilla venue, where I had the pleasure of hearing the BoTLatAm team talk about their ideas and projects, and how they envision a future where blockchain can be used as a tool to help the unbanked, the uninsured, and the forgotten peoples of third world countries gain access to benefits that are standard for people elsewhere. 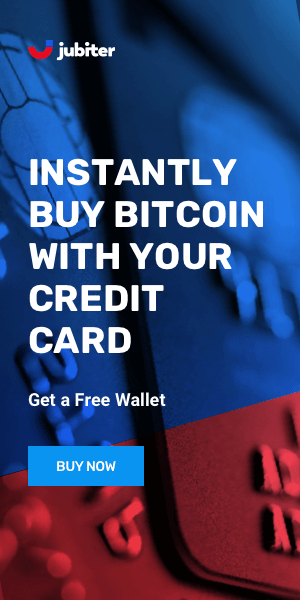 Dether is a platform that provides users with the ability to access a peer to peer ecosystem of crypto buyers, crypto sellers, and physical shops. Dether aims to create a fully decentralized bridge between fiat and cryptocurrencies that could help people use and get familiarized with Ethereum and other cryptocurrencies without knowing anything about them. Abdel Hamid Benyahia, co-founder of the project presented Dether at Barranquilla, where he introduced the DApp to the attendants and hosted one of the first peer to peer crypto-for-fiat trades made on the continent using Dether. I believe products like Dether could really help everyone who cannot access ATMs or traditional banking solutions solve any potential cash-in or cash-out problems, given that mobile phone technology is reaching people in remote settings at a faster rate than banks are expanding their networks. APPICS is a decentralized, rewards-based social network that allows content creators, curators, and spectators alike to obtain a share of the profits by just liking, sharing, and uploading content to the platform. The APPICS team was the biggest presence at BOTLatAm 2018, and they have been actively building a network of Latin American users through the tour. Uma Hagenguth, co-founder and COO of APPICS, gave a powerful speech where she explained to the audience how mainstream social networks monetize the content and activity people provide to them while withholding all the profits generated from their activity. Ms. Hagenguth also explained how everyday people could gain profits by using and generating quality content using the platform. This product is still in development but interested users can sign up to get early access when the Appics team starts releasing the first versions of the app. Giveth, one of the most interesting projects of the tour was presented remotely by its founder Griff Green from Brazil, since he couldn't leave the country after the Sao Paulo BOTLatAm event because of a Yellow Fever alert that prevented travel outside of the country. Giveth's main objective is to provide a free open-source platform built on Ethereum for the management of crowdfunding and charitable initiatives, that more easily allows funds to get where they are most needed. I personally believe that products like Giveth could become very popular in Latin America once people realize they can have greater control over donations they make without the participation of centralized third parties that commonly take a significant cut just for acting as the middleman between givers and receivers. swarm.city is an application that allows anyone to create their own business very easily. People can organize market places for buying and selling goods in a peer to peer fashion, which means that only people who want to make a deal have the power to decide how to carry it out. swarm.city could disrupt established P2P applications like Uber because it provides the same tools while cutting out the middleman so that driver and passenger can make deals directly. The project was presented by Bernd Lapp, who leads the Business Hive at swarm.city and was one of the main organizers of the BOTLatAm tour. Mr. Lapp handed out swarm.city tokens (SWT) to everyone in attendance that he used to explain how people could post a request for a service on the platform and pay to get it resolved. We recently had the opportunity to talk to Mr. Lapp about BOTLatAm, swarm.city, and his other projects in an interview published before the start of the BOTLatAm tour. Etherisc is one of the projects featured on the tour that could have the biggest impact for the unbanked and uninsured peoples of Latin America since the insurance industry is dominated by big corporations that make no significant efforts to bring affordable insurance solutions to the poorest communities. Etherisc is a platform for decentralized insurance applications that aims to use Blockchain technology to facilitate the sale and purchase of insurance products while greatly diminishing operational costs while simultaneously offering greater transparency. This initiative was presented at BOTLatAm by Michiel Berende, who works as the Inclusive Insurance Lead at Etherisc. Mr. Berende showed examples of how farmers can leverage IoT technologies to access insurance products if their farming operations face disaster by drought or disease. Products like Etherisc could literally save the lives of thousands who are at risk of losing everything, especially in the face of increasing climate uncertainty. Status is a mobile app that enables your device to work as a light node of the Ethereum network. Status allows users to chat, access DApps, and to store and transact value using the in-app wallet. The project was presented by Eduardo Garza, who works as a Community Manager for the Latin American division of Status.im. Garza explained to attendants how to access and operate the app on Android devices. Although still in development, Status aims to create a community of people who will work together to build the new Web 3.0 through a project incubator, a development framework to allow users to build their own Dapps, an educational platform for DApp development, and a light-client implementation for Ethereum 2.0 designed to operate on resource-restricted systems. We will be taking a deeper look at Status and Etherisc in forthcoming interviews with Eduardo Garza and Michiel Berende that will be published in the coming days. The BOTLatAm tour started as an initiative of Mr. Lapp and the participating companies scattered throughout Europe but it was a group of Latin American residents who responded to Mr. Lapp's call on Twitter and prepared everything needed locally to carry out the event. In the case of Barranquilla, the responsability was taken by Mateo Daza and Jose Bell, both Computer and Systems Engineers from Barranquilla's Universidad del Norte, who are blockchain enthusiasts and partner entrepreneurs at their own startup named Quilla Labs. I had a word with Mateo Daza after the event's closing talk, and he kindly accepted to answer some questions I had about his involvement in bringing BOTLatAm to Barranquilla. Ricardo Carrasco: What motivated you to help bring BoTLatAm to Barranquilla? 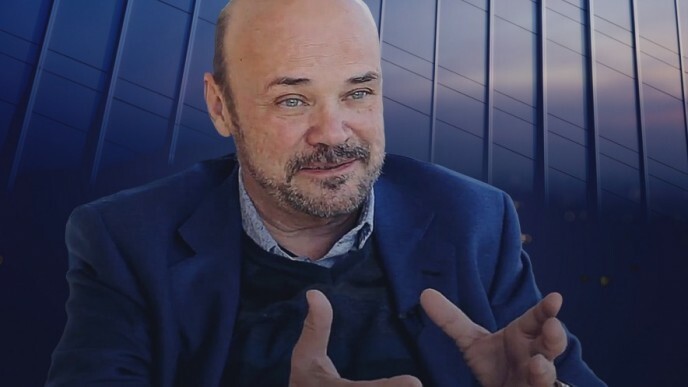 Mateo Daza: My partner José Bell and I had always been interested in making Barranquilla an attractive place for blockchain initiatives, we've been passionate about it ever since we found out about blockchain and consider our life's philosophy. We feel that society will move towards a future where blockchain will be essential and we want to be involved. RC: How did you find out about BoTLatAm and how did you connect with the BoTLatAm team? MD: Funny thing is that José just responded to a tweet from Bernd Lapp where he announced he would be bringing these products to Latin America. Bernd responded back to us and here we are. RC: Can you tell us about your Quilla Labs project? MD: Quilla Labs aims to be the blockchain embassy of Barranquilla. We use the word embassy because we associate it with being pioneers in bringing blockchain here, and we want to be the first to offer to counsel and help our society discover a technology that it very much needs, but people don´t know they need it yet. We want to achieve this through education and blockchain-related entrepreneurship. RC: Is there anything else you would like to comment on about BoTLatAm or about what you do? MD: Well, we would have actually loved that it would have been easier for us to bring the tour to Venezuela, I discussed it with Bernd, but the difficult situation there did not permit us to do so. I also loved that the BoTLatAm team took the time to bring their tour here despite the difficulties of traveling all the way from the Crypto Valley. The development and use of blockchain technology are currently geographically focused within the economic powers of the world in Asia, Europe, and North America. Initiatives like BOTLatAm are very much needed in underdeveloped countries where people are strongly affected by the lack of access to tools that allow them to exert bigger control over their personal and financial lives. This pioneering initiative has planted a seed that could kickstart the blockchain movement in the continent in the upcoming years, products like the ones presented during BOTLatAm have the potential to empower Latin American people with tools that allow them to better transition into the new web-based economy. 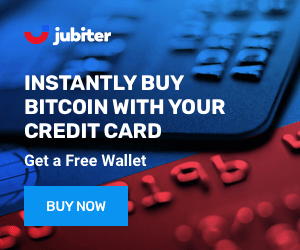 By using these tools, attendees now know how to gain and spend cryptocurrencies, as well as to create and get funding and insurance for their own businesses. The BOTLatAm team expressed their intention to come back to the rest of Latin American countries they couldn't visit during this genesis tour, and Mr. Lapp has since announced the tour could be going to Asia very soon. I happened to be the only resident of Venezuela present at the conference, where I was surprised with a very warm welcome from everyone. By talking to the company representatives I discovered very quickly that these are passionate and laid back people who truly want to help create a better world through their work. I would personally like to thank Mr. Bernd Lapp from swarm.city, Abdelhamid Benyahia from Dether, Eduardo Garza from Status.im, Michiel Berende from Etherisc, Uma Hagenguth from Appics, Griff Green from Giveth, Mateo Daza and José Bell from Quilla Labs, Mrs. Renée Edle von Lapp, and everyone who made this tour possible for investing their time and energy into this noble initiative that was offered free of charge to anyone who wanted to attend. Also, shout out to Marek Osiecimski, a Polish filmmaker who is traveling with the BoTLatAm team while producing DECENT, a documentary about blockchain technology and its potential to change the world.